They found that 1389 were labelled correctly and thirteen were not. This represents a total rate of less than 1% (0.92) species mislabelling in contrast to the global average of 30%. Mislabelled products were found in fresh and frozen pre-packed products and in restaurants, mainly in western Europe, with one case in the USA. 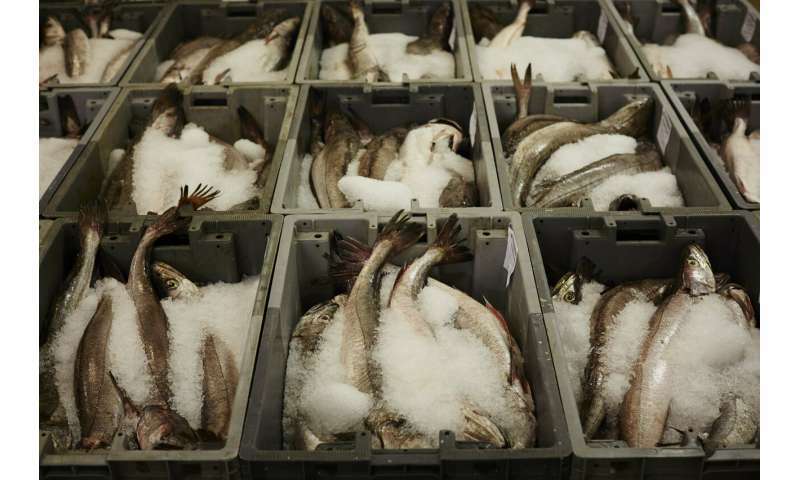 All cases of mislabelling were identified in whitefish (cods, hakes, hoki) and flatfish products. There are many reasons that mislabelling may occur. Unintentional mislabelling can result from misidentification of species when the fish is caught, mix-ups during processing, or ambiguities in product naming, such as the use of catchall trade names such as "snapper" or "skate". While DNA testing can identify cases of species substitution, on its own it cannot confirm whether this was fraud. To do this it is necessary to trace the product's movement back through the supply chain to identify the exact step where the issue occurred. The MSC's Chain of Custody certification requires that every distributor, processor, and retailer trading certified seafood has a documented traceback system that maintains separation between certified and non-certified seafood, and correctly identifies MSC products at every step. For the thirteen mislabelled products, records were obtained from each company at each step in the supply chain. Trace-backs revealed that only two mislabelled samples could be confirmed as intentional substitutions with species of non-certified origin. MSC-certified products can command higher prices and better market access than non-certified products therefore these substitutions were likely to be fraudulent. Those responsible for the substitutions had their MSC certificates suspended. There were other instances where substitutions inadvertently occurred at the point of capture or during onboard processing—likely due to misidentification between closely related, similar-looking species that co-occur in the catch. There was no discernible financial motive. "The use of DNA tools to detect substitution in the fish supply chain is well-documented but until now has essentially revealed a depressing story. Our research flips this on its head and demonstrates how we can apply similar technology to validate the success of eco-labels in traceable, sustainable fishing," said Rob Ogden, TRACE Wildlife Forensics Network and University of Edinburgh. Francis Neat, Head of Strategic Research at the MSC said "While we can get a good indication of whether species-level substitution is taking place, using DNA barcoding and tracebacks, the future for the MSC is to invest in state-of-the-art next generation gene sequencing and isotopic and trace element profiling. This will make it possible to determine which stock a fish product came from, in addition to whether it is the species mentioned on the packaging."